At WaxWorx Car Care and Detailing Supplies, we are committed to protecting your privacy. You can travel through most of our site without giving us any information about yourself. But sometimes we do need information to provide services that you request, and this statement of privacy explains data collection and use in those situations. This privacy statement explains data collection and use practices of WaxWorx Car Care and Detailing Supplies; it does not apply to other online or offline WaxWorx Car Care and Detailing Supplies sites, products or services. Please read the complete WaxWorx Car Care and Detailing Supplies privacy statement. We will ask you when we need information that personally identifies you (personal information) or allows us to contact you. Generally, this information is requested when you are registering before entering a contest, ordering e-mail newsletters, joining a limited-access premium site, signing up for an event, or when purchasing and registering WaxWorx Car Care and Detailing Supplies products. Personal information collected by WaxWorx Car Care and Detailing Supplies often is limited to e-mail address, language, country or location, but may include other information when needed to provide a service you requested. To help you quickly find software, services or information on WaxWorx Car Care and Detailing Supplies. 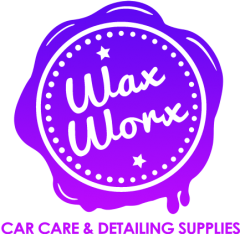 To alert you to product upgrades, special offers, updated information and other new services from WaxWorx Car Care and Detailing Supplies. WaxWorx Car Care and Detailing Supplies may disclose your personal information if required to do so by law or in the good faith belief that such action is necessary to: (a) conform to the edicts of the law or comply with legal process served on WaxWorx Car Care and Detailing Supplies or the site; (b) protect and defend the rights or property of WaxWorx Car Care and Detailing Supplies and its family of Web sites, or (c) act in urgent circumstances to protect the personal safety of users of WaxWorx Car Care and Detailing Supplies, its Web sites, or the public. Your information may be stored and processed in the United Kingdom or any other country in which WaxWorx Car Care and Detailing Supplies or its affiliates, subsidiaries or agents maintain facilities, and by using this site, you consent to any such transfer of information outside of your country. When you register, or otherwise give us personal information, WaxWorx Car Care and Detailing Supplies will not share that information with third parties without your permission, other than for the limited exceptions already listed. It will only be used for the purposes stated above. WaxWorx Car Care and Detailing Supplies may send out periodic e-mails informing you of technical service issues related to a product or service you requested. You will not be able to choose to unsubscribe to these mailings, as they are considered an essential part of the service you have chosen. WaxWorx Car Care and Detailing Supplies website uses a number of different cookies to help provide you with the best possible online experience. Below we explain the cookies we use and why we use them. WaxWorx Car Care and Detailing Supplies website uses, non-essential cookies to anonymously track visitors, i.e. Analytics cookies. This help to provide a better understanding on the products viewed and help promote more related products. WaxWorx Car Care and Detailing Supplies website uses session cookies when users login to account area and at the checkout process.